When a country is rebellious, it has many rulers, but a ruler with discernment and knowledge maintains order. A ruler who oppresses the poor is like a driving rain that leaves no crops. – Proverbs 28:2-3. I took a day yesterday to “eddy out”. I think I am still recovering from my journey out of Africa and back into the culture of the United States. We definitely operate at a different pace here in the U.S. I have prayed and chewed on this passage for the last day or so and for some reason it has been a difficult one to wrap my brain and soul around, but I signed up for the entire river journey so here goes. The topic of this passage is rulers and the people they rule. As I have thought and prayed about this Ghana and Haiti have come to mind. I have spent quite a bit of time in both of these countries, very different, but also with some striking similarities. One of the similarities is that both countries have struggled governance since their inception. The reasons for the challenges in governance are different, but the end result is a government that does not always serve the people who elected it. 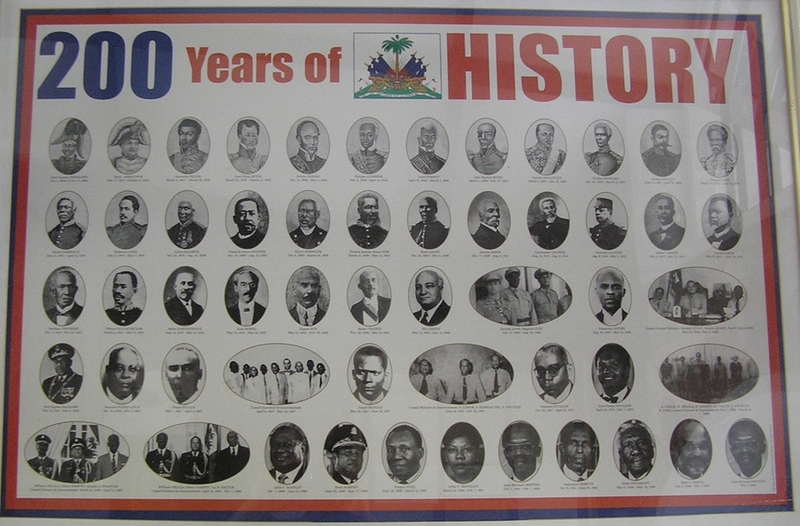 Haiti was founded by a slave revolt which ousted the French colonial rulers and gained full independence in 1804. Since that time Haiti has had a string of rulers (about 44). Many of these rulers oppressed the people, especially the poor peasants, and failed to leave a legacy that improved the lives of the Haitian people. They were truly like a “driving rain that leaves no crops”. The current president, Michel Martelly, seems to have accomplished a lot for Haiti during his term as president but the Haitian constitution bars him from reelection. Ghana was a British colony until it gained it’s independence in 1956 and became an independent republic in 1960. The countries first president, Kwame Nkrumah, was ousted in a coup in 1966. Since 1966 the country has had a string leaders which have struggled to produce a lasting infrastructure that serves the interests of the people. The reasons for this are complex and interwoven with the traditional ruling structure of village and regional chiefs. The end result is a tension between those who rule and the governed; and difficulty creating and maintaining a robust infrastructure. So both in Ghana and in Haiti there are often no “crops” to show for the “driving rains” of the ruling class. The United States has its own problems. We have had our share of rulers who were like driving rains that left no crops. Some would argue that the current federal government of the U.S. is trying to do too much — leave too many crops (healthcare, etc.). According to this passage the vaccination against rulers who do not leave a positive legacy is to select rulers who have “discernment and knowledge”. When was the last time you heard those words discussed on the campaign trail? Ghana, Haiti, and the U.S. are all electing new leaders in 2016. It is my hope and prayer that leaders will be selected who have discernment and knowledge. It is up to the electorate to make sure that these attributes are at the top of this list of job qualifications. Prayer: God as we select those who will lead our governments help us to seek out those with knowledge and discernment so that they will seek Your will as they lead. This entry was posted in Discernment, Following God, Free Will, Ghana, Haiti, Life Together, Obedience, Proverbs, religion, The Earthly Realm, Trusting God, Wisdom and tagged bible, bible study, Christianity, Daily devotional, Ghana, Haiti, rain, water. Bookmark the permalink.